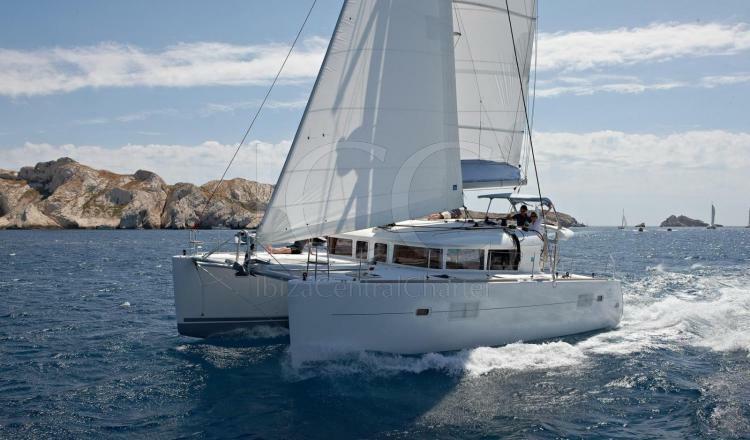 Spectacular sailing catamaran with 90 m2 surface, 4 double cabins. Special for couples for their distribution or for a group of friends. 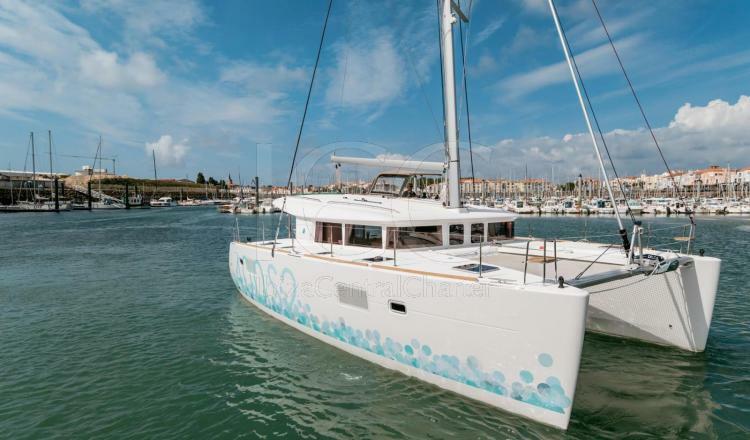 Beautiful sailing catamaran with a length of 12 meters and a beam of almost 8 meters that provides all the comforts that we could wish for, offering a great habitability on board. 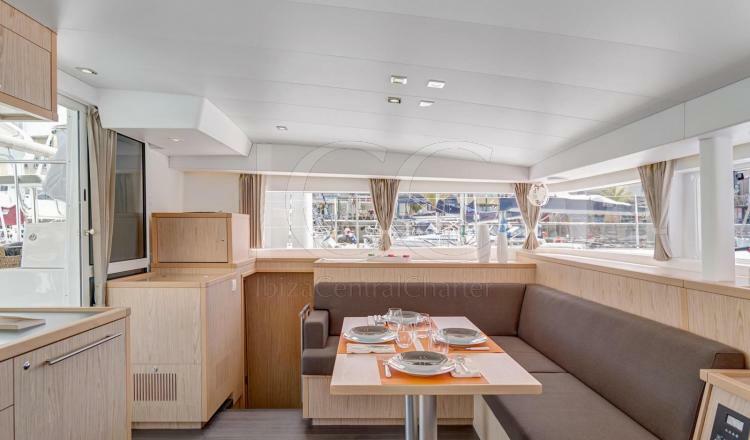 The interior has a large surface giving capacity for a group of up to 12 people to enjoy a vacation sailing through the Mediterranean Sea. 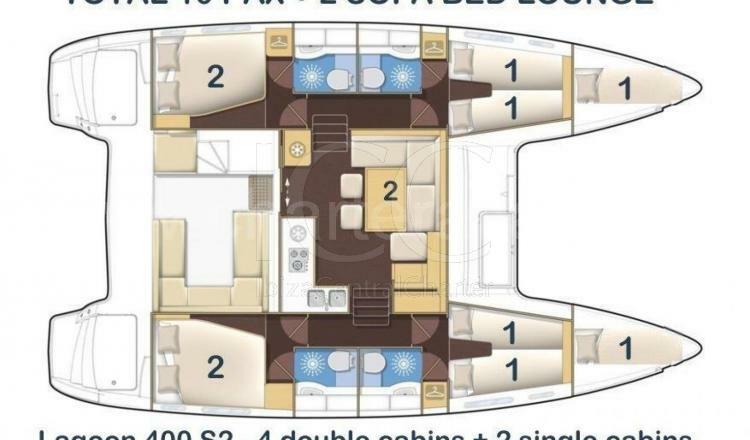 It has 4 double cabins that have a lot of light thanks to their hatches. 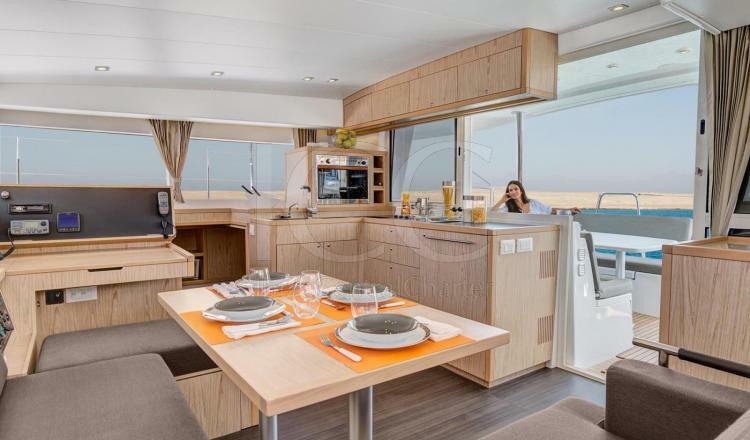 The amplitude of this catamaran allows to offer 4 bathrooms with separate shower room with private access from each cabin. It has a spectacular living room with dining table and 360º panoramic views, it also has two flat screen televisions, one in each corner of the room so you can enjoy the television from any angle. 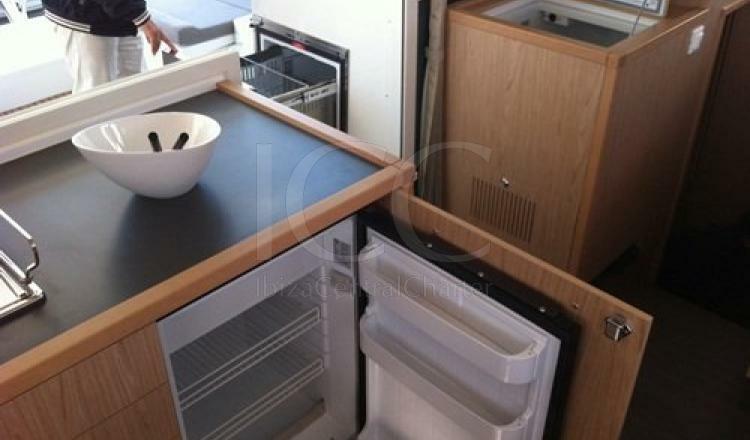 Next to the living room there is a kitchen equipped with gas oven, refrigerator, freezer, sink, microwave and all the necessary utensils to prepare and taste the appetizers. All cabins have air conditioning. Outside we find magnificent areas to use for fun and relaxation. 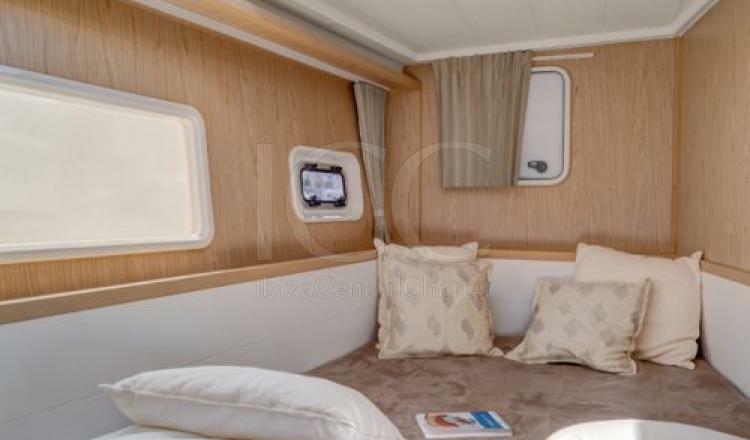 It has a large back terrace with dining table and comfortable seats that can accommodate 10 people, with direct communication with the kitchen by just opening one of the glass windows facilitating an outdoor snack. The rear terrace has a rigid fiber roof that provides shade to the entire terrace. On the front terrace are integrated large sofas to enjoy the sunsets in the best coves of Ibiza and Formentera, as well as two ideal networks to lie down to sunbathe. The access from one terrace to another is done comfortably thanks to the wide bands that allow a relaxed and safe ride. 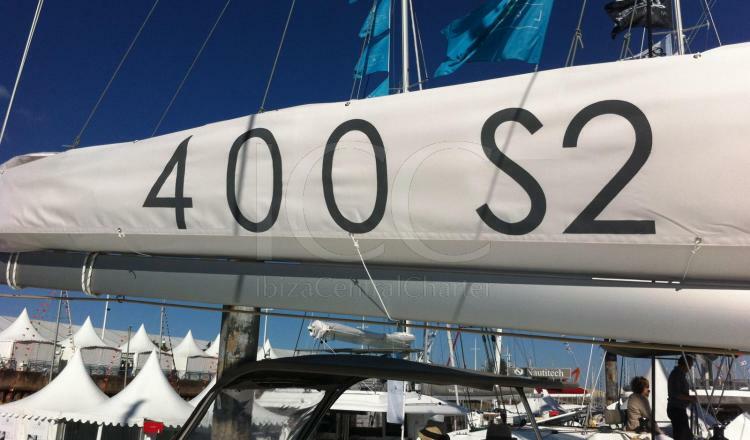 The Lagoon 400 S2 is ideal for overnight groups of up to 8 people, and they can discover the islands of Ibiza and Formentera for complete weeks or single days. - Maintenance of the skipper. - Weekly rent: Saturday to Saturday. - Check out: 8:00 pm at Club Nautico de San Antonio.